Perfect for small commercial bathrooms. Our combination unit offers a seamless washroom solution; toilet and vanity unit in one convenient, space-saving product. 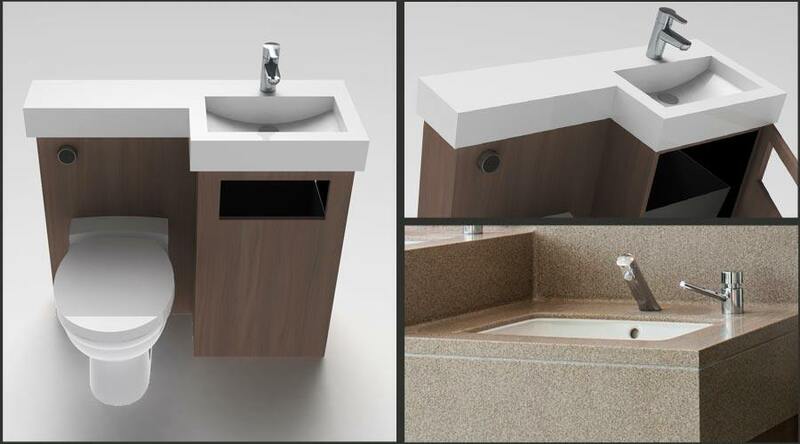 Bespoke designs available to suit each washroom. Combi units are designed bespoke to meet your project’s requirements. With a variety of material options available, Nokk can create a combi unit that seamlessly integrates into your workplace’s interior design. By creating your combi unit bespoke we can also match your budgetary requirements or required functionality. 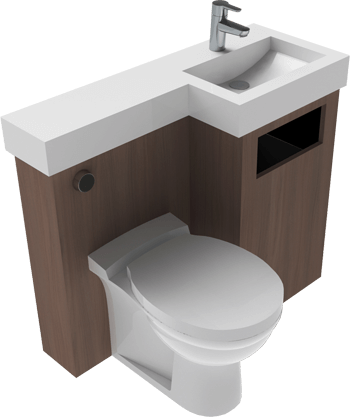 Combi units conveniently integrates the toilet and vanity unit into one product. This results in a space-saving solution, perfect for smaller bathrooms. Nokk is a subsidiary of Cubicle Systems, the leading commercial washroom supplier in the UK. With over 25 years experience within the washroom industry, we have the manufacturing expertise to ensure all of your washroom requirements are met.